Earlier this year, we finally got a much better first look at Disney's arcade game centric animated venture Wreck-It Ralph in the form of a few pieces of concept art. The film follows an arcade game bad guy named Wreck-It Ralph (voice by John C. Reilly) who just wants the glory of his nemesis Fix-It Felix (voice of Jack McBrayer). But in his efforts, he unleashes a deadly force that threatens to destroy every game in the arcade. Now we have a fantastic teaser poster for the film which is hitting theaters this fall, and it throws back to the 8-bit glory of old school video games, and should hopefully turn some heads on a theater wall. 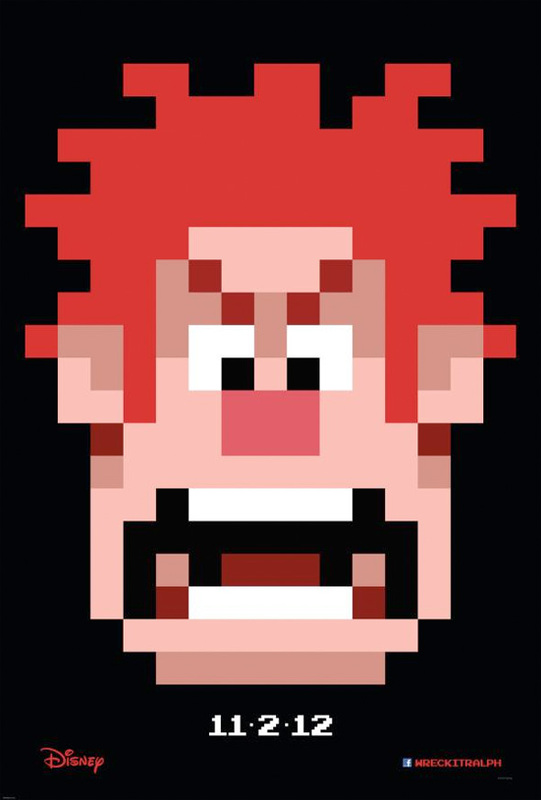 Rich Moore (who has helmed episodes of "Futurama" and "The Simpsons") will direct Wreck-It Ralph, the story of an 8-bit video game character struggling with his own villainous identity with the world of arcade games. John C. Reilly voices the titular character who tries to be a hero, but ends up unleashing a deadly enemy who just might destroy every game in the arcade. Jack McBrayer, Jane Lynch and Sarah Silverman all lend their voices to the film which is slated to hit theaters on November 2nd in 3D. You interested? it's really cool! looking forward to this movie! I want a trailer! It will be fine if the entire movie is made up of original characters with inspiration taken from the world of video games.